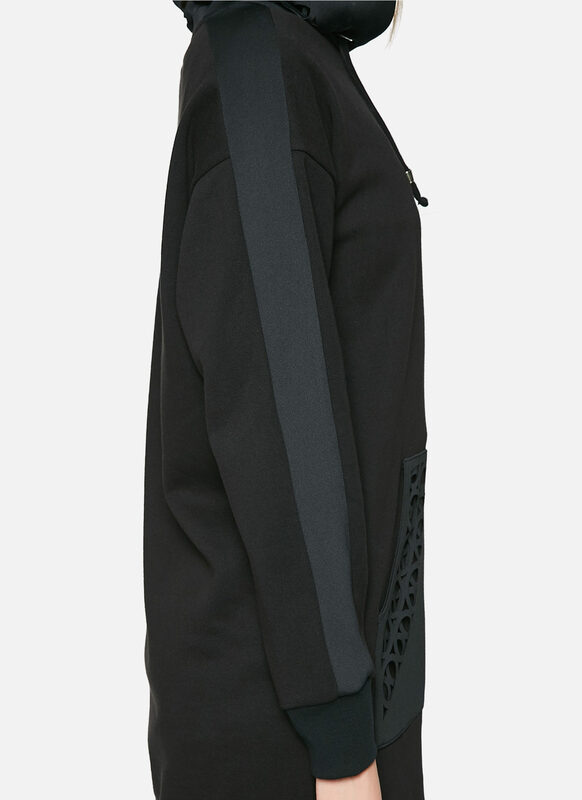 Sweatshirt dress in stretchy fabric with laser-cut hoodie and pocket at frontside. 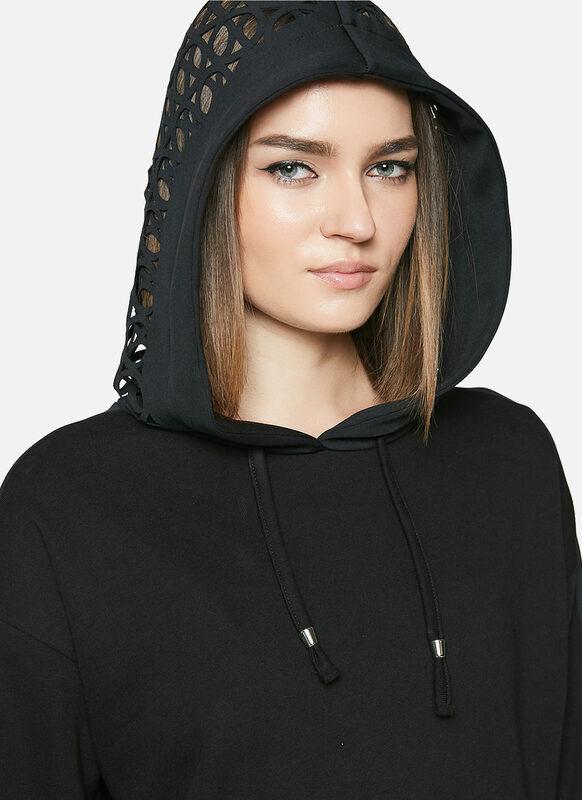 This hooded sweatshirt dress is a must for the well-appointed fall wardrobe. Cut from cotton it features laser cut details with tulle lining and rib finishing. Style it with over-the-knee boots for a kickass look.